The Royal Holland Society of Sciences and Humanities (KHMW) has awarded Delft/BN Casimir PhD student Eduardo Olimpio with the Pfizer Prize for Life Sciences. 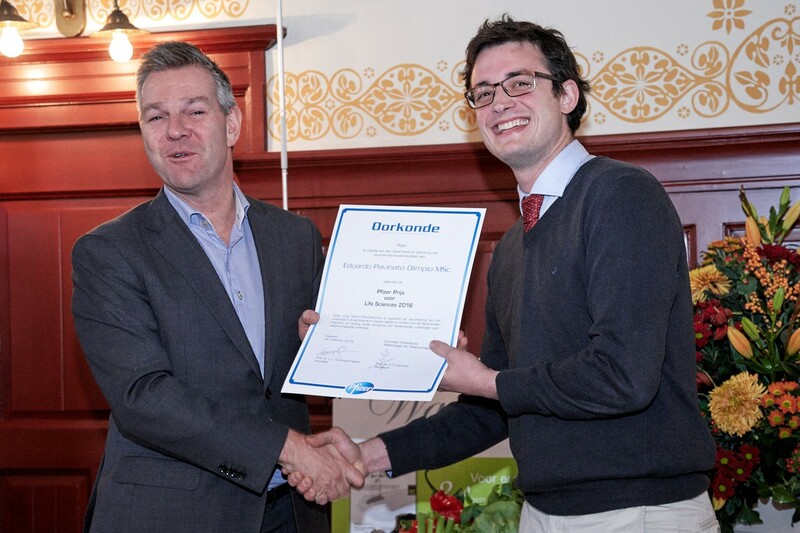 Eduardo received his prize, a certificate and € 5,000.-, in Haarlem last Monday 28 November. Each year, KHMW distinguishes young talents with the aim to promote scientific education in technical subjects. Also Leiden PhD student Anne Meeussen, who was the recipient of the 2014 Hendrik Casimir Prize, was one of the winners. 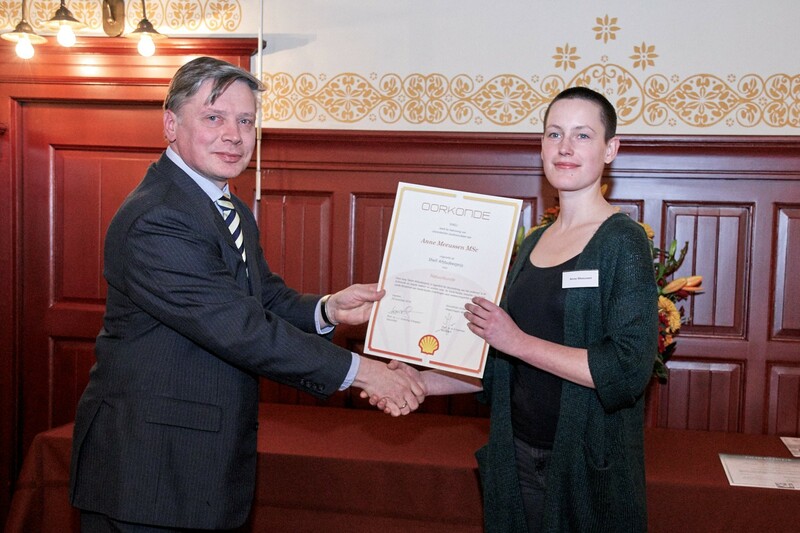 Anne was awarded the Shell Graduation Prize in Physics for her research in designing new materials with specific behavior. Recently, she published a paper in Physical Review X about this topic.